Under the SEBI order, Sahara India Pariwar’s Aamby Valley project will stand frozen. The villa and timber chalet project; being developed at Lonavala in Pune, spreads over 707 acres. 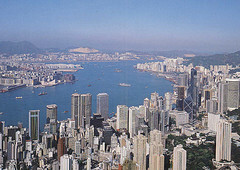 This is considered as one of the major projects of Sahara India Pariwar. Besides this project, SEBI also attaches between 90 to 95% stakes of Sahara India Real Estate Corporation and Sahara Housing Investment Corporation in 64 projects built across 64 towns in the country. Most of the projects are built under the title Sahara City Homes. The Attachment -order was issued by Mr. Prashant Saran, whole time director of SEBI. The order was passed as both Sahara group companies fail to comply with the Supreme Court order to return over Rs.24000 Cr to the investors from whom the firms had collected the amount through OFCD. SC found that the details about the investors were dubious and vague. SEBI order will attach 186 acres in Gurgaon which Sahara firms have acquired for a sum of Rs.1436 Cr. 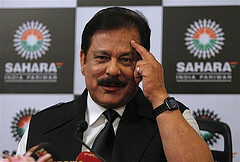 Mr. Saran said that the development rights are owned by Sahara firms. Various Sahara companies have purchased the development rights of the above said 64 projects for Rs 1,105 Cr, the order pointed out. SEBI order attaches Sahara Companies’ properties; both movable and immovable properties owned or held by them; with immediate effect. Stating that the total liability of the firms is only Rs.5120 Cr and that has already been repaid by the companies with SEBI, Sahara firms refuted the attachment order. This entry was posted in Real Estate News and tagged Aamby Valley, Pune real estate, Sahara, Sahara India Pariwar, SEBI, Securities and Exchange Board of India by designer. Bookmark the permalink.